Details: On January 29th, 1964, Stanley Kubrick releases his final black and white film, a theatrical version of an impending nuclear holocaust. Since we opened as a brewery we have been brewing Dr. Strangelove, our revered barleywine and to honor this satirical comedy we will have a vertical tasting of past years Strangelove. This 5 taster flight for $15 will include yrs ’14, ’15, ’16, ’17, and Barrel-Aged ’15. 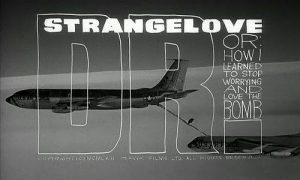 We will also be airing the movie Dr. Strangelove at 6pm for you viewing pleasure. Look forward to seeing you Tuesday January 29th 2019 in the taproom! 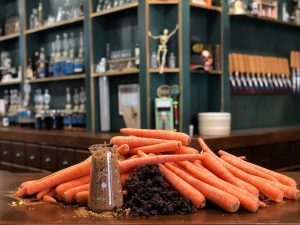 Details: With just one day until the 4th Annual Frozen February, we’re tapping a brand new beer called Nature’s Nuts as a sneak peek of the unique beers that are about to come next month! Nature’s Nuts Imperial Stout is a 10.5% strong but smooth stout brewed with loads of caramel and chocolate malts and aged on a blend of 5 different nuts: Cashews, Pecans, Walnuts, Hazelnuts, and Peanuts. Flavors of dark chocolate and a rich nuttiness from the 15 pounds per barrel of roasted nuts combine to create a truly decadent treat! Also, don’t miss the draft and limited bomber release of Jamaican Me Nuts (Nature’s Nuts aged for 3 months in a Jamaican rum barrel) on Thursday, February 14th! Jamaican Me Nuts will also be featured as part of a special Valentine’s Day Vegan Chocolate & Beer Pairing. More details to come! Details: Join us Friday, Feb 1st @ noon for the release of 𝗧𝗵𝗮𝗻𝗮𝘁𝗼𝗶𝗱! This beautiful Imperial Stout was aged 12 months in Laws Whiskey House Bourbon & Secale Rye barrels, then conditioned on a borderline ludicrous amount of Tahitian vanilla bean. 𝗧𝗵𝗮𝗻𝗮𝘁𝗼𝗶𝗱 is viscous, but still balanced in body and not too sweet. Aroma and flavor are complex with german chocolate cake, oreo cookie, vanilla, anise, oak, & whiskey notes (to name a few). It’s warming at a tad under 13% abv. 𝗪𝗲 𝗼𝗻𝗹𝘆 𝗯𝗼𝘁𝘁𝗹𝗲𝗱 𝟯𝟬 𝗰𝗮𝘀𝗲𝘀, 𝗮𝗻𝗱 𝗮𝗹𝗹𝗼𝗰𝗮𝘁𝗶𝗼𝗻𝘀 𝘄𝗶𝗹𝗹 𝗯𝗲 𝗯𝗮𝘀𝗲𝗱 𝗼𝗻 𝘁𝘂𝗿𝗻𝗼𝘂𝘁. 𝙁𝙞𝙧𝙨𝙩 20 𝙝𝙪𝙢𝙖𝙣𝙨 𝙬𝙞𝙡𝙡 𝙧𝙚𝙘𝙚𝙞𝙫𝙚 𝙖 FREE 𝙏𝙝𝙖𝙣𝙖𝙩𝙤𝙞𝙙 𝙍𝙖𝙨𝙩𝙖𝙡 𝙃𝙖𝙧𝙢𝙤𝙣𝙮 𝙏𝙪𝙢𝙗𝙡𝙚𝙧 𝙖𝙣𝙙 𝙜𝙡𝙤𝙬 𝙞𝙣 𝙩𝙝𝙚 𝙙𝙖𝙧𝙠 𝙏𝙝𝙖𝙣𝙖𝙩𝙤𝙞𝙙 𝙚𝙣𝙖𝙢𝙚𝙡 𝙥𝙞𝙣! Both will be for sale otherwise. Also available on draft while it lasts. See you for the kickoff of Stout Month! Details: Belgian Tripel brewed with orange blossom honey. 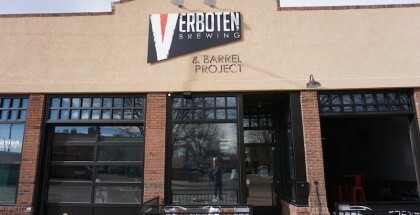 Originally brewed to celebrate what would have been the 151st anniversary of the Rocky Mountain News…Tim Myers’ previous employer before they closed up shop and he decided to start a brewery. Details: We’re excited to announce our February Meet the Brewer Night with Jordan Hazelton. This event will include a mini tap takeover of 4 Rock Cut beers. Free samples will be provided as Jordan talks more about the brewery and each beer. Details: Up to this point, we have been restricted in our capacity and our ability to produce several creative beers at the same time while maintaining enough beer for the taproom to continue offering a full lineup, with only four fermenters. Now that the expansion is finished, the real fun begins. 𝐓𝐡𝐢𝐬 𝐢𝐬 𝐛𝐲 𝐟𝐚𝐫 𝐨𝐮𝐫 𝐦𝐨𝐬𝐭 𝐮𝐧𝐢𝐪𝐮𝐞 𝐫𝐞𝐥𝐞𝐚𝐬𝐞 𝐭𝐨 𝐝𝐚𝐭𝐞. Hazy Brut IPA with Citra, Mosaic, and Azacca hops. This is everything you love about Brut IPAs with everything you love about New England IPAs. Dry, refreshing, and bright with tropical, juicy, and citrus fruit notes. 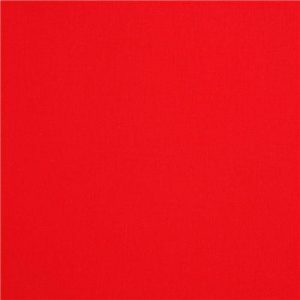 Vibrant Primary Colors was named for our love of experimenting with creative off-the-wall recipes. This is a perfect mash-up between two of our favorite styles. You’ll have to taste this beer to believe it. 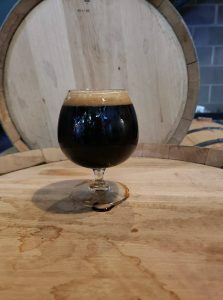 Laws Whiskey House Secale Straight Rye barrel aged wheatwine collaboration with Wren House Brewing Company in Phoenix, Arizona. This is our second release in the series, aged in a single rye barrel. When we pulled nails from all four barrels to determine blends and blending ratios, we decided to let this barrel age a little longer because we tasted some special potential. After allowing the beer to age for an additional three months, we fell even more in love with the spice character from the barrel. The beer’s name “Leisure World” comes to use from a Facebook beer trading group “Arizona Traders Society”, whose members have helped us pick the name for the series and each release. Many of the group’s members are also huge supporters (as are we) of our collaboration partner, Wren House Brewing. Leisure World is a real, physical, special place in Mesa, Arizona where snowbirds can come relax, soak in ultra-blue pools, get a bright orange glow, while avoiding the snow in Colorado. Milkshake Sour IPA takes the base beer for the Cobbler series and strips down the grain bill to include only malted barley, flaked oats, and Colorado grown unmalted raw red wheat. A moderate dose of lactose is then added in the kettle before the beer is fermented with Saccharomyces Bruxellensis Trois. The beer is then allowed to rest on TCHO Ghanian Cacao Nibs and finished by dry hopping with Amarillo, Citra, and Denali hops. As if that wasn’t enough, we also came to the conclusion that every beer just tastes better with a hint of vanilla, so we added a touch of pure, concentrated french vanilla. This is our first non-cobbler Milkshake Sour IPA and was brewed to experiment with flavors imparted with non-traditionally paired ingredients like citrus fruit forward hops, chocolate, and vanilla. Those dessert notes are perfectly showcased by using a backdrop of a slightly tart, Milkshake Sour IPA base beer. Expect a white chocolate dessert beer with hints of citrus and a slightly tart finish. NIB Analytics is part of a brand new series of experimental Milkshake Sour IPAs aptly named the “White Paper Series”. This series was born from our popular Cobbler series by varying the malts and grains used for the base, along with non-traditional pairing of adjuncts and hops. The White Paper Series draws inspiration for its name from Kyle’s tenure in the corporate accounting world. 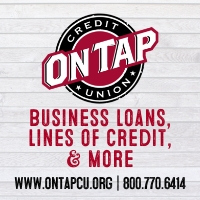 White Papers were frequently issued to highlight particular accounting and finance issues, along with proposed consulting solutions to ease the pain of implementing new accounting practices. Kyle hated reading the white papers and pitching his clients on the firm’s services, so he wanted to create a different, more favorable connotation with the term “White Paper”, so a new series was born. 𝐓𝐡𝐢𝐬 𝐛𝐞𝐞𝐫 𝐢𝐬 𝐝𝐞𝐟𝐢𝐧𝐢𝐭𝐞𝐥𝐲 𝐠𝐨𝐢𝐧𝐠 𝐭𝐨 𝐛𝐥𝐨𝐰 𝐬𝐨𝐦𝐞 𝐦𝐢𝐧𝐝𝐬. Details: It’s back and as good as ever! Once again we will have crowlers to go and of course plenty to drink on tap! The fun starts at 5:00 PM! Chef Bob’s Lobstah Trap will be here as well, so come hungry! Details: Do you like BEER? Do you like MELVIN BEER? Do you like FUN? Do you like Kung Fu? Do you like Wu-Tang? If so, come one, come all! 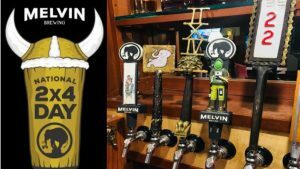 Join Backcountry Pizza & Tap House this year, February 2nd, 2019, as we are proud to host the annual Melvin 2×4 Day! Come decked out in your best Kung Fu gear and be ready to spit your best Wu-Tang rhymes! You never know who you will have to battle. And who knows, maybe that tuba player from years past will show up to blast our ears? Details: With the changes in the weather come the changes in the flavor in Dyad, and February is bringing some Cran Cherry Crumble Dyad to your world! Cans of this 7.5% sour kombucha ale are being released at the taproom on Sat. 2/2 @ 11am, so get over early and get yourself some. 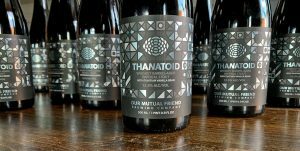 This fruited version of Dyad has the same kombucha-inspired tastes and tartness you’d expect from regular Dyad but with a healthy addition of cranberries, cherries, vanilla, and cinnamon to mix it up. Details: We are excited to party with you on February 2nd with an all-day open house to celebrate both the brewery’s 3 year anniversary and Founder Karen Hertz’s 10 year cancer-free anniversary. Mark your calendars for what is sure to be an epic celebration! Details: January has just begun, but boy are we ready to break our New Years resolutions! Who is with us? 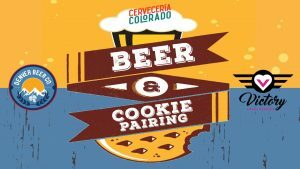 Let’s start the binge with a BEER & COOKIE Pairing Party. Join us February 2nd & 3rd because life is short and health food is totally overrated. This special pairing will feature cookies from our Highlands friends at Victory, Love & Cookies. Each cookie is paired with one of our favorite beers to create mouth-watering and delightful combos. The event will take place at both taprooms on Saturday and Sunday, February 2nd & 3rd, from 11-5pm. We will have limited day-of tickets for $25, but grab tickets early as this event will sell out fast! Details: Melvin Brewing‘s storied 2×4 Day is landing on Groundhog’s Day this year and we can’t wait to show you what we’ve got in store. 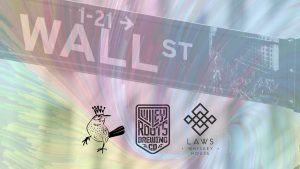 We’ll be featuring a rowdy lineup of beers from the Wyoming wizards. Hip hop will be bumpin throughout the day leading up to a big live funky party from Gumbo le Funque starting at 5PM. Hip Hop. Beer. Kung Fu. Groundhogs. Funk. Madness. Y’all been warned. Keep it locked for more details. Details: Come join us as we celebrate six years of serving beers on Tennyson St. in the alley!!! We’ll be hosting a CHILI COOK OFF starting at 4:00PM and welcome any and all submissions. The deadline to reserve your spot to submit chili entries will be Thursday, January 31st. Those who submit will qualify for free beers, giveaways and gift certificates after our contest votes are totaled! And of course a beer or two for submitting as well as free sampling of all the other chili entries. We will also be giving away free swag, free beer and more all day starting at noon and all you’ve got to do is be here drinking a beer with us!! 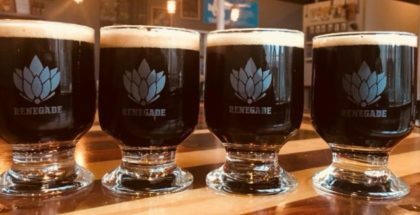 And if you love limited edition releases…We’ll be serving up some specialty beers on tap as well as selling bombers of our 19.5% Anniversary Biere de Garde. Details: 2×4 is the granddaddy of all things Melvin. It’s the best damn DIPA in the world, having won the triple crown of GABF, WBC and Alpha King. Two years ago we decided to dedicate a day to celebrating its glory the Melvin way. This event is unlike any other, so grab your nun-chucks and join us for the party of a lifetime! Special tapping include 2×4, Asterisk, Kung Fu Bar, Pilsgnar and Cloudy 5000. 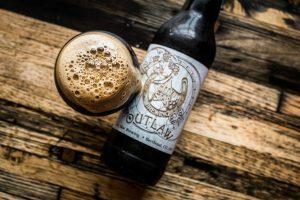 Details: The 2019 vintage of Outlaw Imperial Stout aged one year in Spirit Hound Distillers Whisky oak barrels and finished at 14% abv. Flavors of dark chocolate, toffee, dark fruit, oak, vanilla and of course American whiskey. Outlaw will be available in the taproom on draft and in 22oz bottles. Each bottle is dipped in wax and hand stamped with the City Star Brewing seal. Details: On Saturday, February 2nd we’re once again bringing the ruckus for Melvin Brewing International 2×4 Day! We’ll be slinging Melvin beers, bumpin Wu Tang, and getting generally rowdy on Groundhog’s Day. Details: Join us for our Limited Release of our Bourbon Barrel Aged Stout! Details: In honor of Stout Month, we will be releasing a new variation of our Vladislav (Baby Don’t Hurt Me!) Russian Imperial Stout each Monday in February. We put one pound of whole beans into five gals of Valdislav for 5 days and then added just a hint of Vanilla to round out the roast notes. 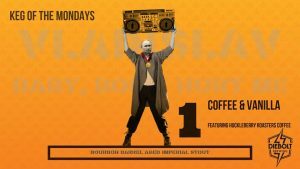 Every Monday will be “Keg of the Mondays” — because who needs a “Case of the Mondays” when you can have a whole damn Keg of it? We’re bringing back this series to experiment with new brews and twists on old favorites, releasing a limited 5 gal. keg each week. Home brewer? Beer enthusiast? 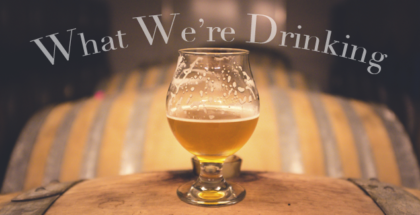 We invite you to expand your beer education and learn along with us each week! Details: It’s that time of year again. 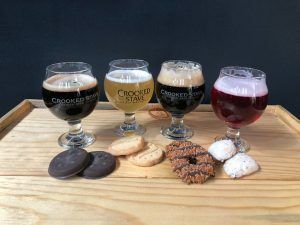 The Girl Scout Cookie pairing returns to the Crooked Stave RiNo taproom Tuesday, February 5. 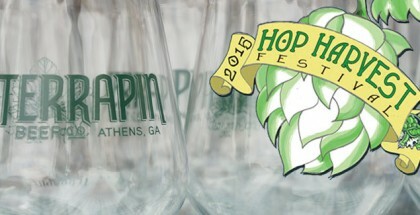 We will be pairing our beer with Thin Mints, Samoas, Tagalongs, and Savanah Smiles. Stay tuned for details.